(Natural News) Protecting your health isn’t merely about nutrition and superfoods. Sometimes you need to protect your health from violent, physical attacks directed at your body. With our society seemingly collapsing into escalating violence and incivility, it’s important to use the best legally-available tools to defend yourself and your family members against senseless violence. Millions of Americans carry concealed weapons for precisely that purpose, and the number of women who are purchasing and carrying pistols is rapidly rising. For women in particular, guns are the great equalizer, because no matter how strong or physically large an assailant might be, he can’t dodge bullets. But now, I’ve switched to Sig Sauer. Specifically, I’ve switched to the P320 platform for a number of rational reasons outlined in my video, below. In summary, the Sig P320 is simply better engineered than Glock pistols. The stock trigger is vastly superior, the recoil management is markedly better, the safety and ease of disassembly is much better than Glocks, and the modularity of the P320 platform is truly revolutionary. 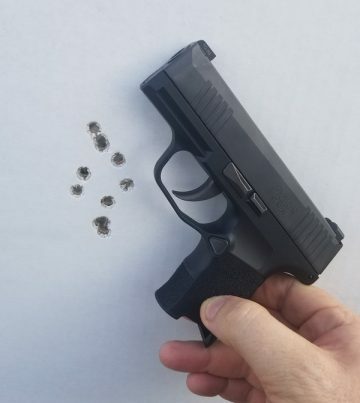 How I came to this realization is interesting: When Sig released their revolutionary concealed carry pistol, the P365, I purchased one because I was impressed with the 10-round magazine capacity. Glocks that are almost the exact same physical size only carry 6 rounds in the magazine, so fitting 10 rounds into the same size pistol was quite a feat of engineering on the part of Sig. This accuracy is almost unheard of from such a tiny gun, and my experience with the Glock 42 / 43 models proved those pistols to be “jumpy” and difficult to control. For some reason — obviously related to ingenious engineering on the part of Sig — the Sig P365 manages recoil with such efficiency that anyone with a good grip and a little bit of practice can put rounds on target, even with a very tiny concealed firearm. The effect is even better in Sig’s larger frame pistols such as the P320, which is considered an “everyday carry” pistol. It puts rounds on target with such accuracy and efficiency, I had to face reality and admit that my Glocks simply could not compete. This also explained something I had been experiencing with one of my instructors, a Navy SEAL assault team expert who consistently demonstrated insanely accurate shooting. When he and I would compete on a “dueling gun tree” where you try to shoot all the steel targets so they swivel to the side of your opponent (and he’s trying to do the same to clear his side and swivel the targets over to you), he would always win. An examination of his practice on cardboard revealed that he was shooting 2″ spreads from 10 – 20 feet away. This degree of accuracy is almost unheard of from a pistol. And as you might suspect, it turns out he was shooting a Sig P320. Plus, of course, he’s a Navy SEAL and an assault team expert. So you’d expect him to be good. In truth, he’s insanely good. And the fact that he had chosen a P320 was something I had to investigate for myself. When I shot the P320 the first time, I immediately saw my rounds tighten up compared to the shooting pattern I could produce with a Glock 17. With the P320, I was consistently shooting 3″ spreads from 20 feet away, whereas with the Glock, I would occasionally get “flyouts” that I couldn’t explain, which would deviate several additional inches off the average spread. Glock fans might say I have a problem with my grip, and there are certainly many Glock experts who can shoot Glocks with near-perfection. But I’m a highly experienced shooter, and my grip is classic textbook. It’s not a matter of bragging but rather a factual statement that I can out-shoot most police officers and military personnel — I know this because police officers and military personnel tell me this all the time. I’ve only run into one police officer who was more accurate. (His name is “Tex,” by the way, and you can imagine he’s been probably shooting since the age of nine…) Honestly stated, I’m better than most cops and younger soldiers, but not nearly as good as Special Forces operators (who obviously are the best in the world at this sort of thing). In other words, I don’t think there’s anything wrong with the way I shoot a Glock. I hold the Sig P320 with the exact same grip and the Sig pistol is just more accurate in its recoil management. By the way, when diagnosing shot spread and pistol grip, if you see a lot of horizontal spread, that’s a sure sign you have a problem with sight alignment or grip. Vertical spread is more of a recoil management issue, or perhaps — for inexperienced shooters — attempting to compensate for the recoil by dipping the gun as you pull the trigger. My issue with Glocks was never horizontal spread, only the vertical spread, indicating an issue with recoil, not grip or sight alignment. This is not some infomercial for Sig, by the way. The Sig company has no idea I’m even writing this. I simply feel compelled to share what I’ve learned because this hardware can literally save your life, and just as I always want you to eat clean food and explore nutritional solutions that can save your life from disease, I also share practical solutions on self-defense that can save your life from violent attackers. I’m also not “anti-Glock.” Glock pistols are well made and very reliable. A Glock pistol will serve you for many years, as it has me. With a trigger replacement, a Glock trigger can be dramatically improved. Glocks are quality pistols, but they suffer from a few glaring problems. Over the years, I’ve experienced all of them, including having pins “walk out” of the gun frame as I’m shooting the pistol, causing a total failure to fire. Stock Glock triggers are notoriously bad, and replacing Glock triggers gives inconsistent results that are hard to replicate from one pistol to another. Stock Glock sights are a joke but are easily replaced with something much better such as the TruGlo TFX Pro sights, which is what I’m running now. 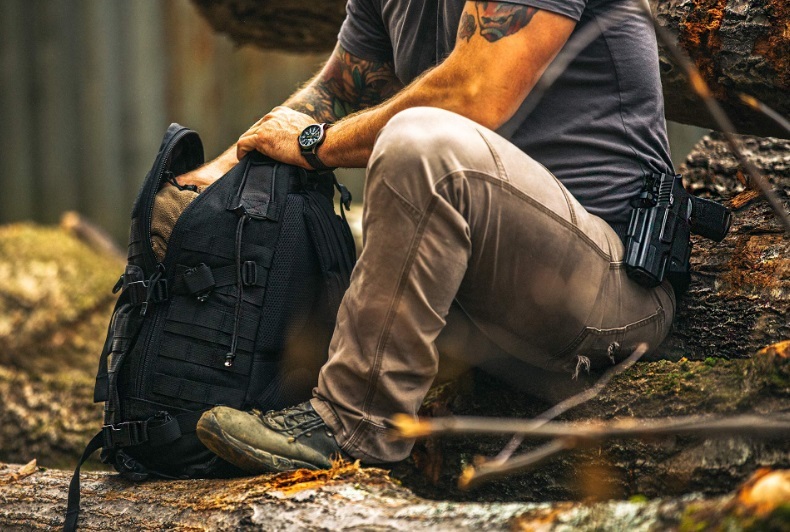 In other words, Glock isn’t all bad, but the Sig Sauer line of pistols and rifles just flat-out work better than almost anything else I’ve tried. For the record, I have thousands of hours of training on pistols and rifles. I currently shoot an average of 5,000 rounds per month to maintain skills. I’m also a mid-level gunsmith, so I disassemble and reassemble rifles, bolt carrier groups, barrels, etc. Thus, I’m intimately familiar with the parts and inner workings of AR and AK rifles, pistols and bolt action platforms (Desert Tech being my current top choice in that category). The Sig MCX platform allows you to fire multiple rounds with a folded stock — perhaps to suppress an enemy while you have time to unfold the stock and achieve rifle accuracy. Furthermore, the MCX recoil management design is by definition a gas-powered design, not direct impingement, so it runs clean with almost no fouling of the BCG. MCX rifles are exceptional feats of engineering, and their modularity makes them incredibly useful for a wide variety of tactical situations. For example, I bought an MCX upper in 300 blackout just to have it on hand for long-range subsonic 220gr engagements (with insane bullet drop ballistics, but that’s what happens when you go subsonic). Because of their modularity, by the way, make sure you abide by all local laws if you start to mix and match gun parts. You can easily commit an accidental felony by purchasing a short barrel, for example, and attaching it to a rifle stock. Suddenly you’ve built an illegal “SBR” without proper ATF paperwork, and that’s a definite no-no. You also can’t put fore grips on AR-style “pistols,” because that turns them into SBRs as well. Be sure to know and follow all the laws on such matters, even if the NFA seems insane (which it is). As a final note, the only rifle that might arguably be superior to the Sig MCX Virtus is the FN SCAR 16s. One of these babies will cost you $2900 or so, and they are almost impossible to find. Soldiers swear by them, and my own experience is that they manage recoil exceptionally well. The 7.62 variety of this, known as the SCAR 17s, has become my go-to rifle in that caliber. Compared to a Daniel Defense 7.62 rifle, for example, the SCAR 17s is silky smooth, with minimal recoil off the intended target, meaning you can put follow-up shots on the same target in rapid succession without having to re-acquire the sight picture. Even POF-USA 7.62 rifles don’t compare to the SCAR 17s. Then again, the FN SCARs are very expensive and ridiculously difficult to find available anywhere. In case you’re wondering, I haven’t yet shot the Sig DMR in 7.62, so I can’t speak to the recoil management of that platform, but I hope to try one soon. I will be amazed if it’s as good as the SCAR 17s, which seems impossibly smooth for that caliber. Beyond all the technical discussion here that might be of very high interest to other firearms owners, my simplified advice in all this is that Sig Sauer hardware just works better. If you need a pistol, go with Sig. If you need a rifle, go with Sig. You can’t go wrong with Sig. If you need a tiny concealed carry pistol, go with Sig. Their stuff just works better. Personally, I’m not a fan of the thumb safeties, so I wouldn’t buy the M17 variety of the P320. But some people like thumb safeties because they don’t have very good trigger finger control, so the M17 is always an option. In my way of thinking, I don’t want an extra thumb safety to think about, and if you need a safety for your thumb, then you probably just lack discipline and training for your trigger finger. The reason why the U.S. military wants thumb safeties on all their pistols, by the way, is precisely because many soldiers are not well trained in fire control discipline until they get to more advanced SpecOps levels of firearms mastery. Your average Army soldier just doesn’t have the discipline to be let loose without a thumb safety. But to a Navy SEAL or a U.S. Army Ranger, a thumb safety is just a nuisance. Check out more of what Sig has to offer at SigSauer.com. Always abide by local laws. And always get training. I recommend a minimum of 25 hours of training and practice before you carry a pistol. Fifty hours is better. 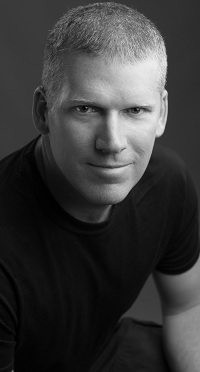 James Yeager of Tactical Response has posted his entire one-hour DVD called “Fighting Pistol” on Brighteon.com. Yeager is a Glock fan and a highly experienced shooter. Watch his video to get started and check out TacticalResponse.com for pistol (and rifle) training classes taking place across the country. Follow more news on firearms at Guns.news.